Sandal Tree Banquet, Sahibabad, Delhi is the perfect place if you wish to have a wedding that is remembered for years to come. 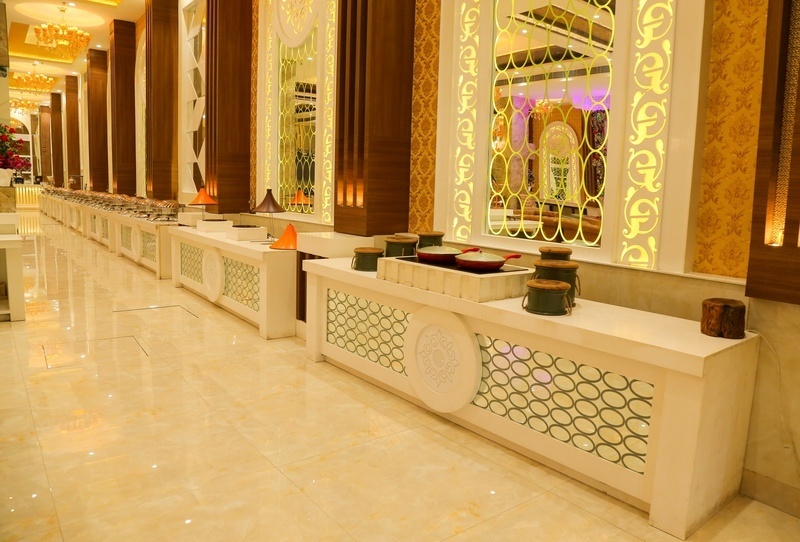 It offers two beautiful banquet halls where you can carry out your wedding and pre-wedding functions. The halls have beautiful interiors and high-ceilings that require very little or no décor at all. This Banquet halls in Sahibabad, Sandal tree Banquet also has has a talented catering team on board who can whip up a delectable feast for your big day. With all these facilities and more, it is a great place for hosting ceremonies of all kinds. Luxury and comfort, Sandal Tree Banquet, Sahibabad offers both. Head here to host a wedding that provides an unmatched ambiance and a pleasing surrounding. Apt for business conference, engagement party, wedding ceremony, birthday parties and more, Sandal Tree Banquet, Sahibabad and its staff will be at your service. Though a Vegetarian venue, Sandal Tree Banquet has a team of experienced chefs that will not let you compromise on food. They provide a variety of cuisines like Indian, Chinese, Mughlai and Continental and that too in a vegetarian kitchen. Click here for banquet halls in Sahibabad!